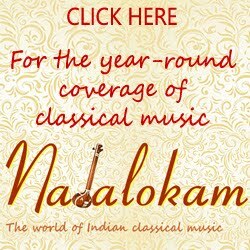 Here is a New Year Eve celebrations with Carnatic music. As in the past Carnatica has organised the Eastern Ethnic New Year Eve. 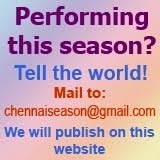 But this time in a different venue at Vani Mahal, T.Nagar. 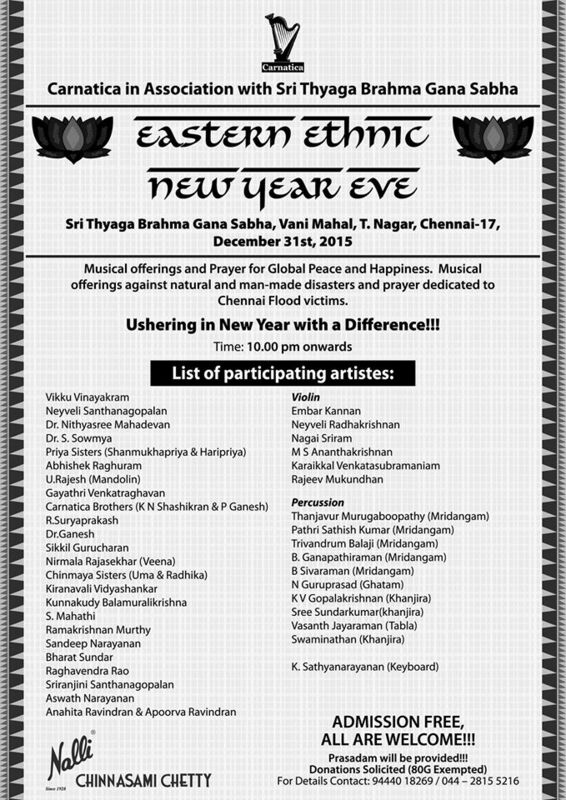 Veterans and youngsters will be performing collectively and individually and usher in the New Year. If you are around in the city and is ready to venture out at mid-night, this is one you would love. Open to all.